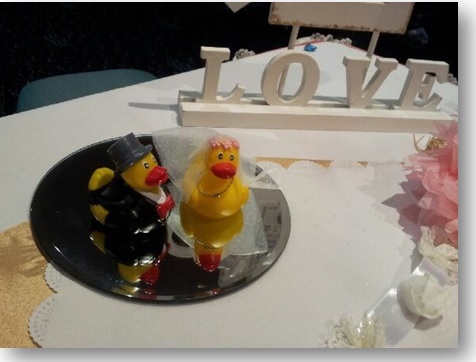 My ‘blushing bride’ giveaways are not only unique, but they are also only available at wedding expos where I participate. There is a rich tradition in using wooden pegs to make dolls. Children play happily with these delightful dolls for many hours. Worlds of imagination open up and fantastic adventures come to life. 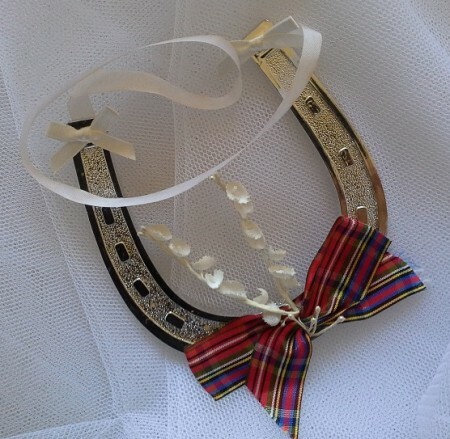 No two peg doll brides are alike! Whether or not the ‘differences’ are planned or just plain accidental, I am not telling! I have great fun creating the expressions on the little faces, and dressing them. Anyway, the girls (young in age and young in heart) who receive them are very excited about having their very own bride doll! These little darlings are always a hit with expo visitors. Brides-to-be love them. Mothers, Aunts, Sisters, Cousins, Grandmothers of Brides-to-be love them. Children love them. 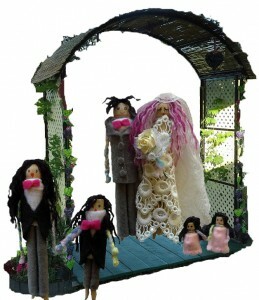 These peg doll brides go quickly. 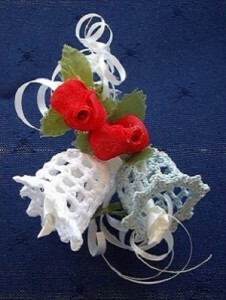 As it is quite busy at an expo, I want to make sure that everyone gets their very own bride doll. 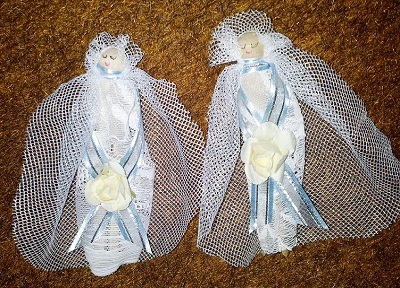 So, I send a photo of two peg doll brides to all people who register their interest in finding a very good celebrant for their wedding ceremony. Something to watch out for on the website is the micro-series “Dolls are different, or are they?” It features a fascinating plot, wonderful soundtrack, and of course, very talented doll actors including blushing brides! 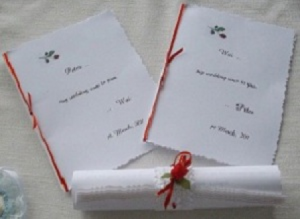 Set in the present day, the story focuses on the trials and tribulations of all who involve themselves in making a wedding happen. 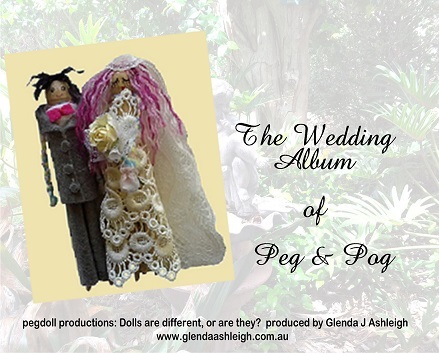 follow the trials and tribulations of Peg & Pog who meet in the Rose Garden, fall in love and start to plan their wedding. Of course, all dolls ‘help’ in the planning process with mixed results. The wedding is wonderful as Peg & Pog share the love.